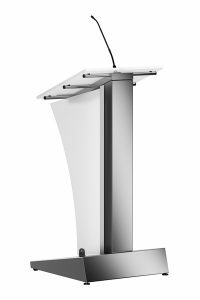 The name of this lectern “Simp” gives away a lot, Less is More. 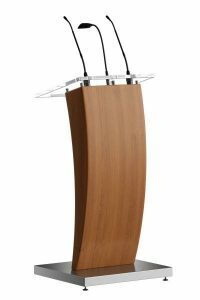 Three surfaces define the strong appearance of this modern timeless lectern. Made of wood covered with HPL. 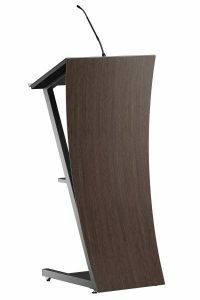 The finish of the colours and materials is entirely to match your interior. 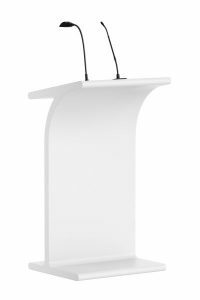 Available with 1 or 2 microphones and a LED reading light.